Call of Duty: Black Ops 2 rumours abound today as DualShockers received an anonymous tip-off from a source claiming to have new info about the game’s single, multiplayer and zombie modes. The source also claims that Black Ops 2 will feature a built-in Live Streaming function, allowing players to broadcast their games online. Curiously, that correlates perfectly with yesterday’s Black Ops 2 Multiplayer Reveal trailer, which showed a brief commentary over a multiplayer match. If authentic, such a feature would be massive news for eSports. 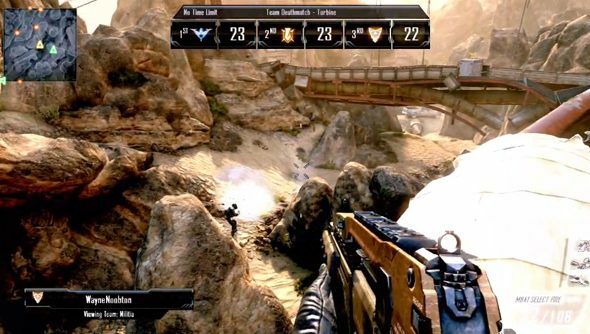 Following the closing card of the Multiplayer Reveal trailer, a short sequence can be seen in which a player is commentating over a Black Ops 2 multiplayer game. Potentially the world’s biggest FPS release featuring built-in support for broadcasting games sets an importantprecedent for the exploding eSports community. This could be big, if it comes to pass.